Consumer Protection Laws Exist for Your Benefit! Most people don't know how powerful State and Federal Consumer Protection Laws are and why. These laws were designed to prevent corporations from trampling on private citizens by allowing you - the consumer - to sue and collect for the things they do wrong, even if you think you owe them money! How Does Financial Consumer Protection Attorney Mike Cardoza Help You Battle The Debt Collectors? A credit rating lower than it should be may be costing you thousands of dollars every year - and you might not even know it! 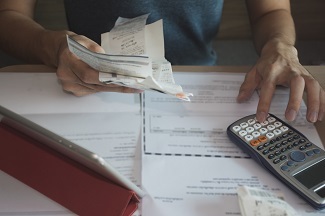 Government studies estimate that AT LEAST 20% of the consumer population has at least one error on their credit report that is costing them money in the form of higher interest rates. Are you struggling with Experian, Equifax, or Transunion because they won't fix your credit report? Has your credit repair agency (if you hired one) told you that there's nothing else they can do for you now that your disputes have been ignored? Many consumers have simply given up on trying to correct an unfair credit score, costing them thousands of dollars in missed opportunities. Attorney Mike Cardoza explains the duties and responsibilities of credit reporting agencies and what consumers can do if the agency refuses to change an unfair report. Are you really “at the mercy” of your debt collectors and lenders? You're not—although they would like you to think so! Attorney Mike Cardoza explains the basics of consumer financial protection laws and how they can be used to turn the tables on California creditors, debt buyers, debt collection agencies and others. When someone gets ahold of your personal financial information, he can wreak havoc on your credit report and your life. If you are struggling to get accounts opened by an identity thief removed from your credit report or to get a debt collector off your back, an attorney can not only speed up the process but may be able to get you compensation for the harm you have suffered. Being a Military Servicemember carries with it responsibilities - but also special rights. Some banks, landlords, lenders, and courts sometimes don't respect those rights because they're inconvenient or difficult. Never mind that being in the Military is often inconvenient and difficult. And that is why these special rights exist! A person or a company can NOT go to court and get a judgment against you while you're on active duty (unless they do certain specific and difficult things), a lender HAS to lower your pre-service debt to 6% upon your request, a self-storage unit owner can NOT sell your stuff for non-payment of rent, a car dealer can NOT reposess the car you bought before joining the military, an HOA can not put a lien on your home, a lender can NOT foreclose on your home, and a landlord can NOT evict your family without going to a court to get permission.